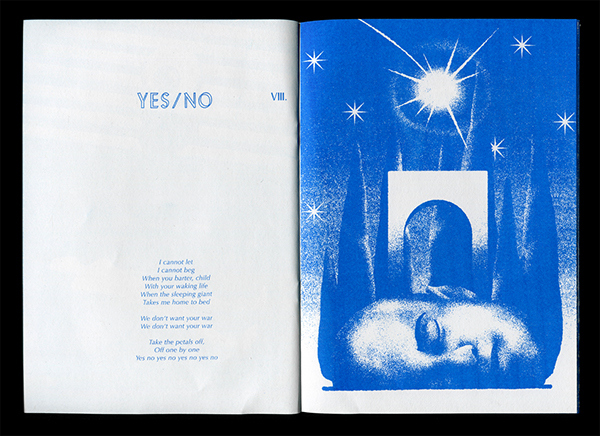 Selected recent and not so recent projects III. 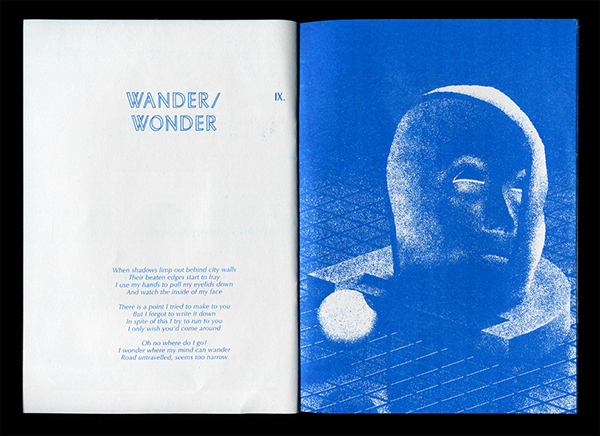 Selected recent and not so recent projects II. 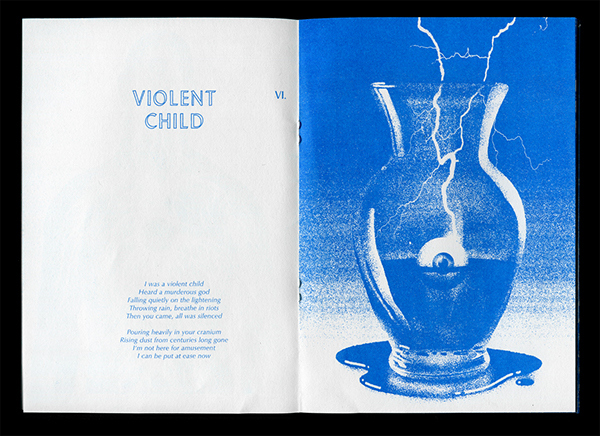 Selected recent and not so recent projects I. 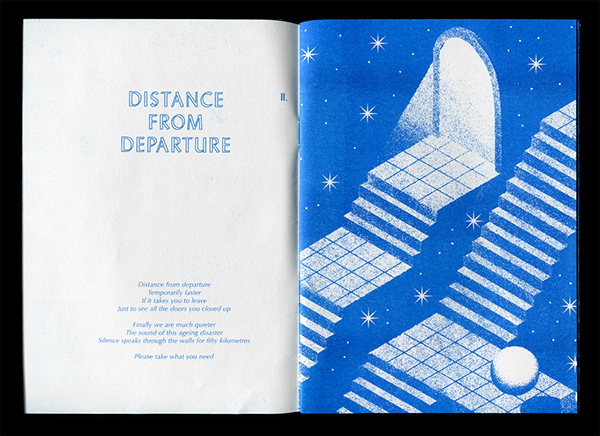 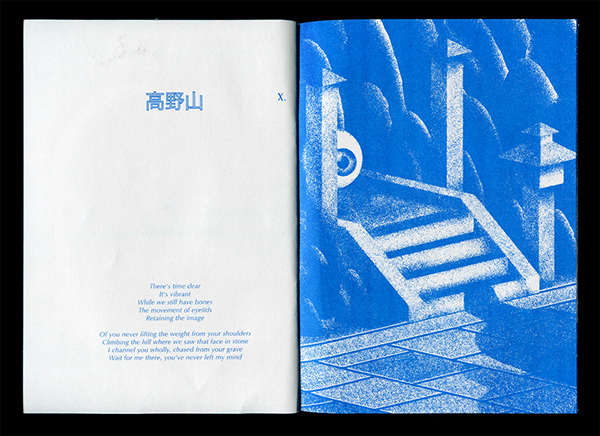 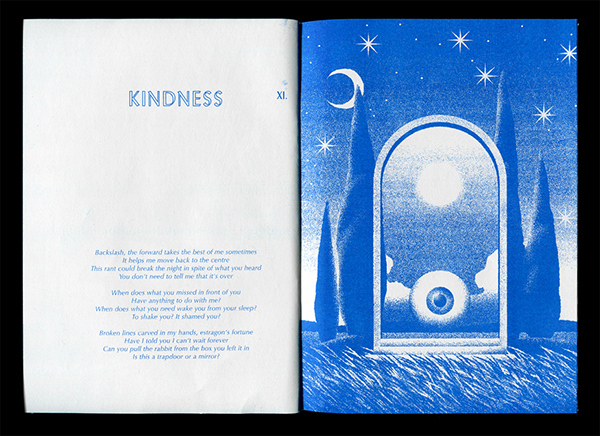 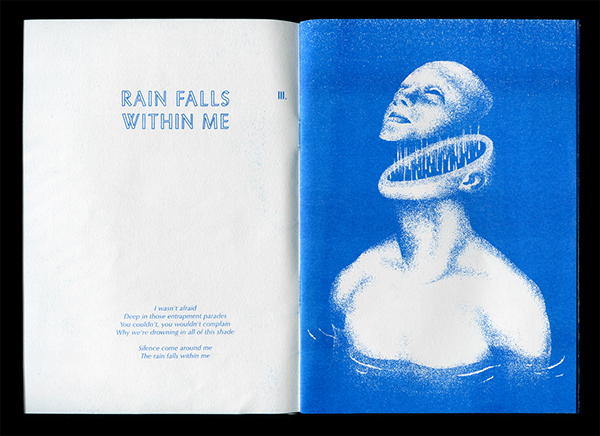 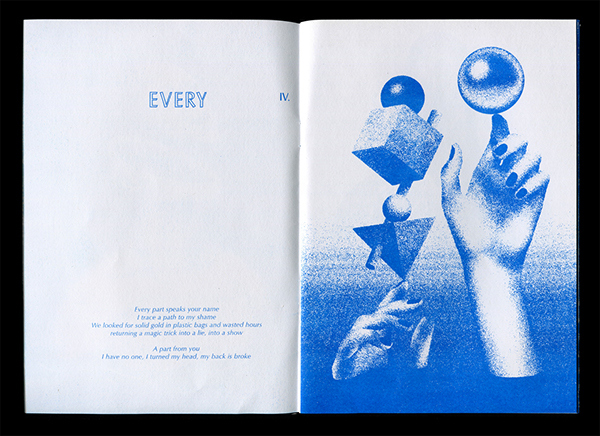 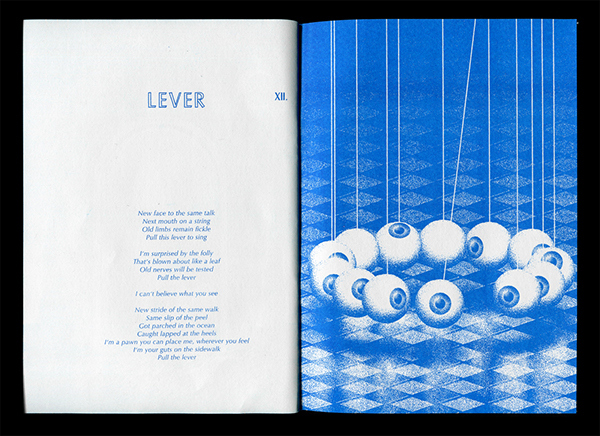 A custom risoprint zine by Braille Face & Max Löffler. 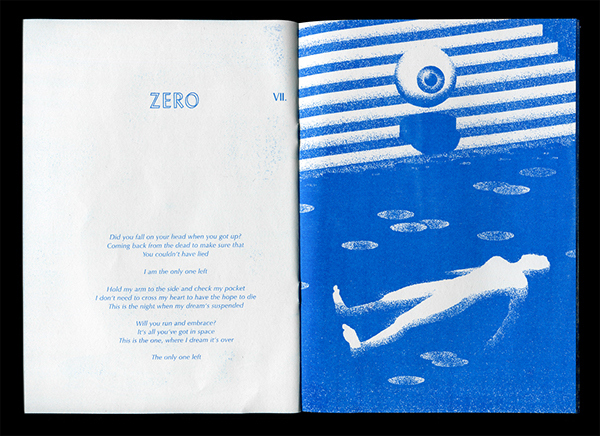 Limited to 50 copies. 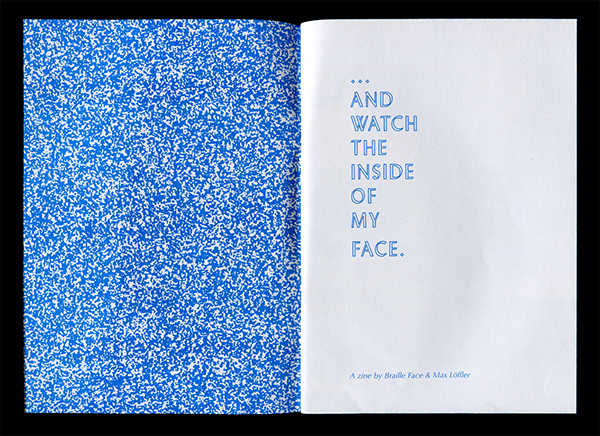 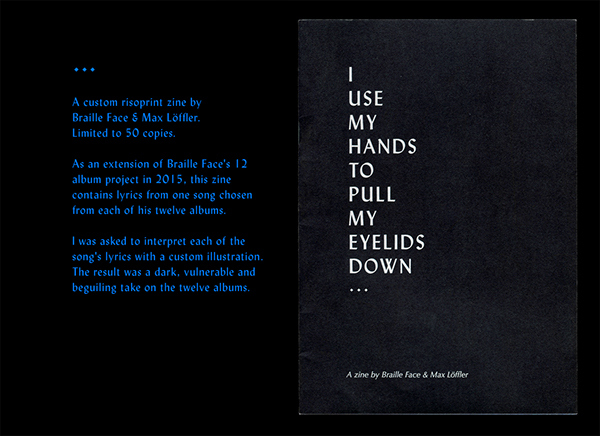 As an extension of Braille Face's 12 album project in 2015, this zine contains lyrics from one song chosen by Braille Face from each of his twelve albums. 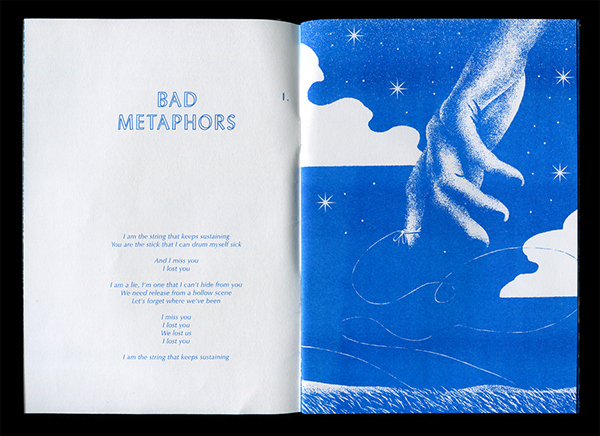 I was asked to interpret each of the song's lyrics with a custom illustration. 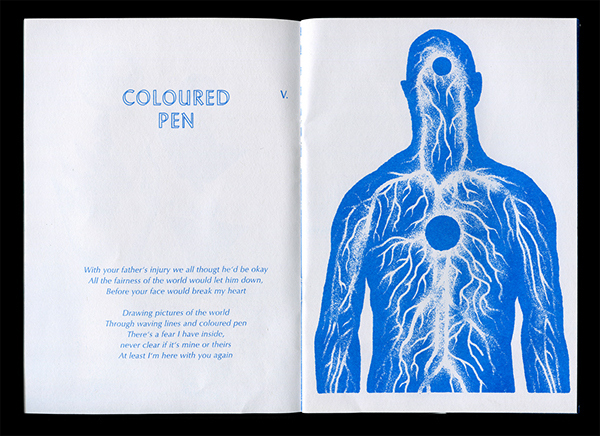 The results were dark, vulnerable and beguiling illustrations accompanying the twelve albums.